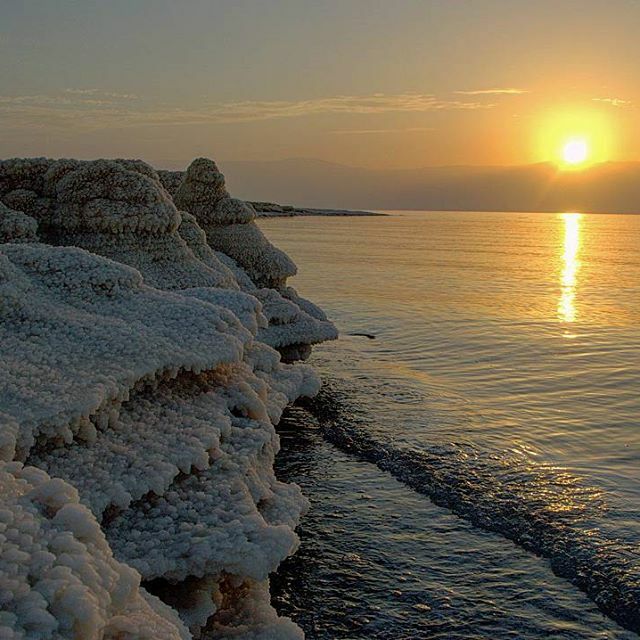 Noam Bedein shared his photo documentation of the Dead Sea which is rapidly evaporating. When Noam Bedein first took a boat tour in Israel, he witnessed salt caves and colorful salt structures that had been hidden under water for thousands of years. When he came back to the site five months later, the landscape had dramatically changed. The Dead Sea is a hypersaline salt lake which borders Israel, The West Bank and Jordan. The lake has the world’s lowest elevation and is known for its mineral-rich black mud, which has been used for its “healing” properties, both therapeutic and cosmetic. The lake is rapidly disappearing, as it is evaporating and will likely be gone by 2050. Bedein, an environmental photojournalist, brought his photo documentation of Israel’s Dead Sea to Cal State Long Beach last week. According to Bedein, the lake is diminishing at a rate of “600 Olympic pools a day,” as industries are pumping out tons of water from the Jordan River, a large tributary. As a photojournalist with a passion for documenting wildlife and nature, Bedein decided to start the Dead Sea Revival Project. The group documents the changes of the Dead Sea to educate and target the restoration of the lake. According to Bedein, the sea has the lowest elevation in the world, meaning it is the lowest point on the Earth’s surface. As water levels decreases, natural salt formations glean pastel blues and purples — a sight that has been hidden underwater for thousands of years. After the formations dry up in the sun, they are lost forever. Because of the organization’s efforts to educate the world about this problem, Israel and Jordan are planning to launch the Peace Canal, a movement that aims to restore the Dead Sea and allocate its waters to the two countries. Israel is also the global leader in desalination technology, which recycles saltwater to use for drinking. Israel currently recycles about 88 percent of its water, over 60 percent more than the next highest county in the world. According to bedein, California has seen its share of devastating fires, mudslides and droughts, and having more access to water from this recycling process could help combat the state’s natural disasters. Students in a tightly packed Peterson Hall classroom showed their appreciation for Bedein’s work.